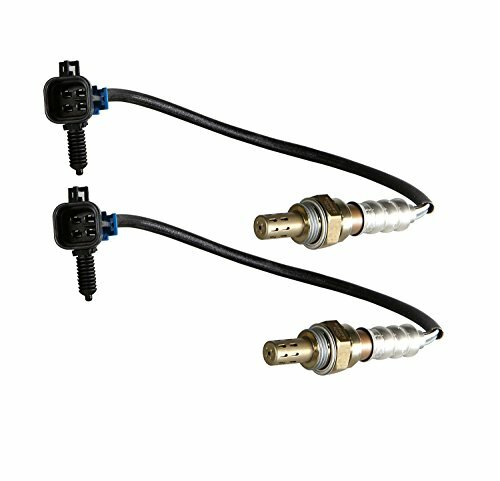 Please check the MAKE/MODEL/YEAR/POSITION of your vehicle and make sure oxygen sensor is compatible. If not sure, please ask us to indentify the compatibility of the parts and we'll reply you within 24 hours. Auto Parts Depot ALWAYS PROVIDES HIGH QUALITY AUTO PARTS AND SERVICE. If you receive the items have quality problems or damaged, please email us immediately, and we will provide you with some professional suggestions. If our sensor well meets your requirements, please give us some good rates and encouragement to help us move forward in a better direction. Thanks a lot! Warranty: 1-YEAR / 365-DAYS UNLIMITED MILEAGE WARRANTY. ALL THEBIGDEALS oxygen sensors are extensively tested during manufacturing to guarantee quality,reliability,and above all,always meet or exceed the original equipment specifications.Replace faulty sensors with confidence in THEBIGDEALS Oxygen Sensor. Interchange Number: Replaces# 234-4018 213-1331 AFS106 21539 213-3538 19178958 Length (Sensor to Lead):430 mm (16.94 in). Directly Fit your vehicle when the plug and the length is the same as your original sensor. Quality: THEBIGDEALS oxygen sensors are produced as the OE standards which can prevent premature failure of the catalytic converter, reduce harmful emissions, improve engine performance and increase fuel efficiency. Bank 1 Sensor 1 means Upstream Right/Rear;Bank 2 Sensor 1 means Upstream Left/Front;Bank 1 Sensor 2 means Downstream Right/Rear;Bank 2 Sensor 2 means Downstream Left/Front. Please check the description or use the year/make/model drop down bar and interchangeable part numbers to confirm the compatibility before purchasing. If you have any questions, please email us, we try to answer all emails within 24 hours. If you have any questions about this product by THEBIGDEALS, contact us by completing and submitting the form below. If you are looking for a specif part number, please include it with your message.